For a team with some of the best players around the world and Europe to be more specific the performance of the Nigerian male national team has been nothing short of disappointing and nowhere near what is expected by the fans. In recent years the Super Eagles as they're called have lost their fear factor and ruthlessness in front of goal, coaches have also failed to get the best out of the players. When Stephen Keshi won the Africa Cup of Nations in 2013 we had a promising squad and Nigerians could dream again but three years down the line the country has failed to get the best out of their players and have subsequently failed to qualify for two AFCONS back to back. 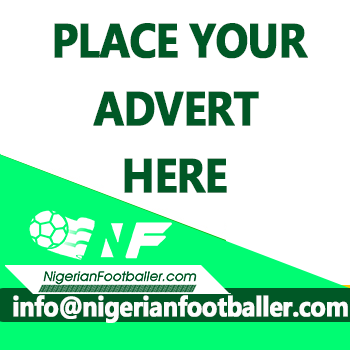 Criticisms have come the way of the players and coaches have been fired all in a bit to turn things around but questions were also asked of players like Odion Ighalo and Ahmad Musa. These two were tested scorers for their clubs in the last two seasons but have failed to transfer that form to the Eagles. The Super Eagles midfield most times seemed flat in spite of Mikel Obi and Ogenyi Onazi featuring regularly in it. The defense was guilty of too many mistakes as the only area which looked solid was the goal keeping department. 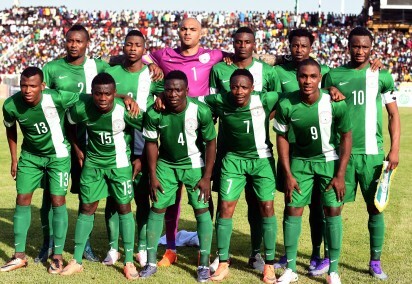 So what exactly could be the problem causing lethargic performances at the Super Eagles? Nigerians believe they have a team which is capable of being world beaters and this could be true. However, our coaches at national team level have failed to play to the strength of the players. Odion Ighalo has been deployed in numerous positions for the Super Eagles, way different from what he is used to playing at Watford. At Watford, Ighalo has the constant support from his strike partner Troy Denney they both run around each other and create chances for one another. But when he comes to the Eagles he is most times left isolated upfront and left to feed off scraps from long ball thrown forward not yielding much results. Ighalo is not the first to fall victim to such cruel tactics as Emmanuel Emenike also suffered similar fate after the AFCON win in 2013. At the AFCON, Emenike was constantly played alongside Brown Ideye who is a very mobile striker and who provided distractions and created space and assist for Emenike. After the AFCON leading to the World Cup, Ideye was dropped and Emenike found himself isolated all through the tournament in Brazil as chances created for him were few and far between. Emmanuel Emenike would go two years without a goal for the Eagles and ended up retiring from International football. This takes us to the midfield where the Eagles have failed to deliver most times. We have watched the midfield be uninspiring, flat footed and failing to be the bridge between attack and defense. Mikel who plays as a holding midfielder for Chelsea has seen himself play more advanced roles for the Eagles sometimes doing well and other times failing. Ogenyi Onazi thrives as a central midfielder for club but for country he is given a deeper role playing as a deep laying midfielder which sometimes he cuts a frustrated figure playing. The defence has seen several players being deployed leaving a lack of understanding and consistency. Judging by the game against Tanzania, the new man in charge, Gernot ROHR has shown he is a coach that likes his players expressing themselves. We saw the Eagles play a high pressing game with lots of energy and for the first time in years we saw a team that had a glimpse of the Eagles past. If not for poor finishing from the likes of Victor Moses the game would have ended more than the 1 nil score line. Kelechi Iheanacho scored the winner in the Tanzania game and keeps getting goals for City while Alex Iwobi is in fine form so the coach should play to the strength of his players. Odion ighalo shouldn't be left isolated as Iheanacho could be played behind him in a supporting striker role. Brown ideye should also be given the chance to lead the attack or play around Ighalo. Victor Moses and Ahmed Musa have both been given the responsibility of breaking out through the wing and crossing for the center men but most time they fail to cross and decide to cut in to finish themselves which is not a bad thing if you have space ahead. In the last game against Tanzania both men failed to deliver an accurate cross and were guilty of making a lot of wayward attempts at goal. They have pace and are skillful so the best option would be for them to stick to the wings and play with the left back or right back behind them. Both men should think less about cutting in and getting the goals for themselves and think more as suppliers for the strikers in the box. John Mikel Obi has the skill set to play in an advanced role but seems a little uncomfortable doing so at times. The best will be to play him as a deep lying midfielder where he'll hold the ball, shield the defence and use his passing range to pick out attackers. With runners like Ahmed Musa, Odion Ighalo and a striker like Ideye, Nigeria should thrive from this kind of play maker. Onazi should be by his side doing the tackling etc. Since Onazi isn't much of a ball player he's more comfortable running and tackling and taking shots. Enough of the trials as it's time to stick to a back line, and give them time to build an understanding. Leon Balogun and Williams Troost-Ekong have the qualities to be outstanding center backs and should be allowed to grow and make mistakes together. Troost-Ekong is brave and not scared of tackles while Balogun is calm and keeps things tidy at the back. Elderson Echejile and Musa Muhammad should be allowed to be on the flanks in defence. In the goalkeeping position, Vincent Enyeama wants to remain retired so I think we should let him be while Carl Ikeme be allowed to tend the goal and Daniel Akpeyi be the second choice. Echiejile Balogun Troost-Ekong Musa M.
Looking at the above formation it gives lots of cover to the defence and still width to the attack, Mikel would be better suited to control games and it also solves the striker isolation problem bringing goals to the team and as we know goals win games. With barely two weeks to the start of the World Cup Qualifying matches, Gernot ROHR will need to get his acts together quickly. For now, we wait and look to see what the future holds.